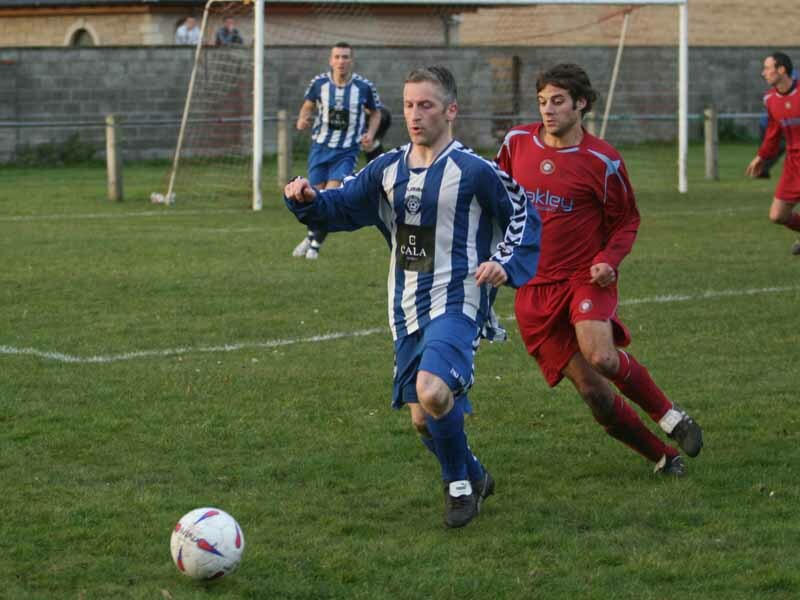 Penicuik returned to league duty after their win in the Scottish Cup for a first time meeting with Oakley United, and were first on the attack when McDonald got behind the Oakley defence, but his cut back was well read by Connors. 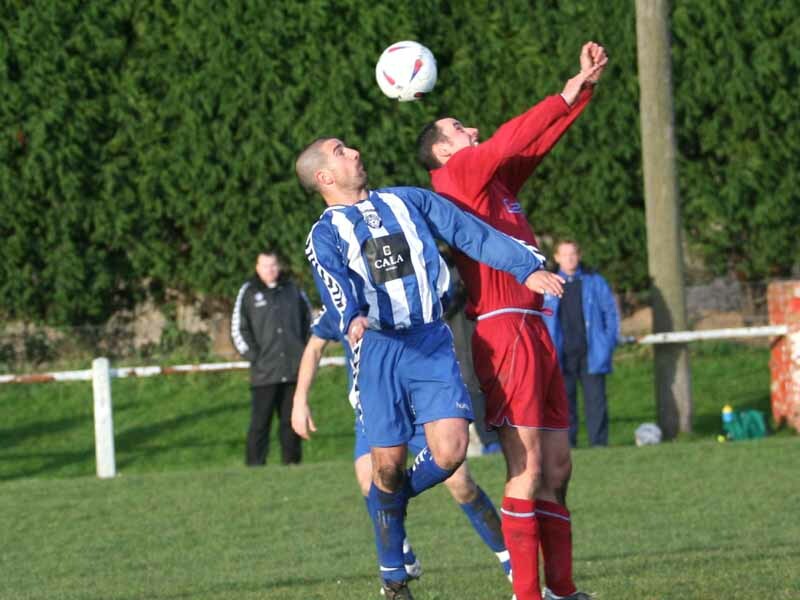 He then sent a long ball to Fotheringham who drove in on goal, but his cross was well off target. In the 6th minute, Cameron turned quickly in the box and fired off a left foot shot that keeper Campbell got down well to save. 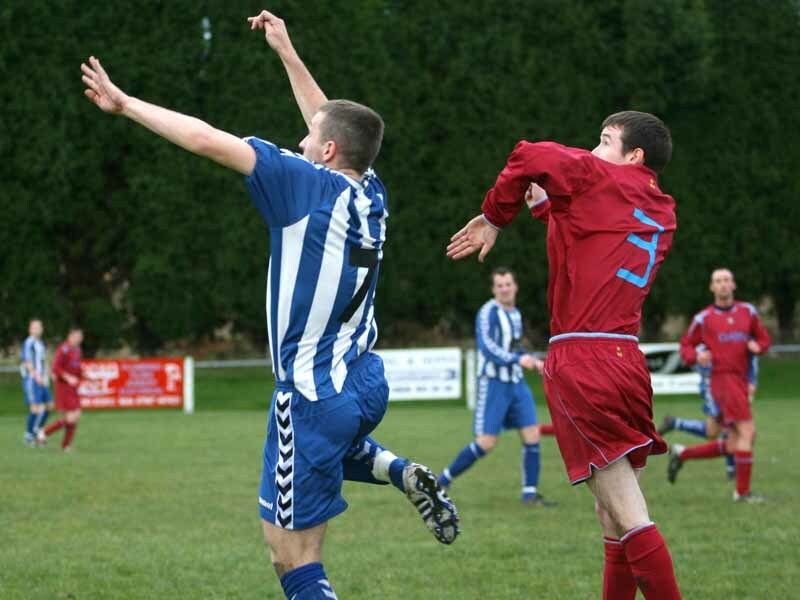 In the 18th minute, Penicuik had a strong claim for a penalty turned down when Connors clearly handled the ball. However, Penicuik got just rewards immediately afterwards when, following a corner kick, CAMERON glanced a header past Campbell into the net. Then in the 20th minute Oakley equalised when a free kick was only partially cleared and fell to CELENTANO whose powerful left foot volley gave Ramage no chance. Ten minutes later, an error by Ryrie gave Oakley a great chance, but Celentano’s shot went straight into the arms of Ramage. In their next attack, Oakley came close, but only a timely intervention by Lynch cleared the danger. In the 38th minute with Oakley pressing hard, Galbraith saw his left foot drive crash back off the base of the right hand post with Ramage beaten. At the other end Gay’s shot brought out a good save by Campbell. Just before half time, Campbell again denied Gay with a fine save. In the opening minute of the second half, Campbell was brought into action when he got down quickly to save a McDonald strike. Two minutes later, Gay fired across a low ball into the six yard box, but again keeper Campbell was alert to the danger. In the 51st minute Gay skipped past three Oakley defenders, but his shot lacked power and was easily gathered by Campbell. At the other end, Fyfe was allowed to drive in on goal unchallenged, but fortunately for Penicuik his effort missed the target. Then Jones got behind the Oakley defence only to see his low cross cut out by Campbell. In the 56th minute, Montgomery met a Gallagher cross, but he failed to direct his effort on goal. Then a moment of controversy when referee Spalding harshly dismissed Foster for what was later described as a professional foul. Immediately afterwards, a long ball from defence picked out Gay who got past his marker only to be given offside by the referee who was thirty yards behind the play. 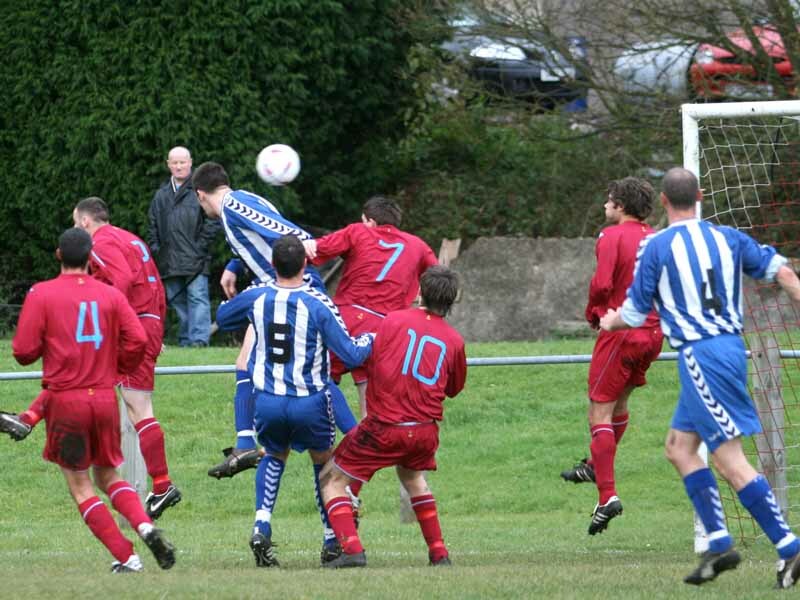 Oakley, catching out the Penicuik defence, took the free kick quickly, but Fyfe’s shot hit the side netting. In the 75th minute, Gay dribbled past Galbraith into the penalty box and appeared to be tripped, but again referee Spalding was unmoved. 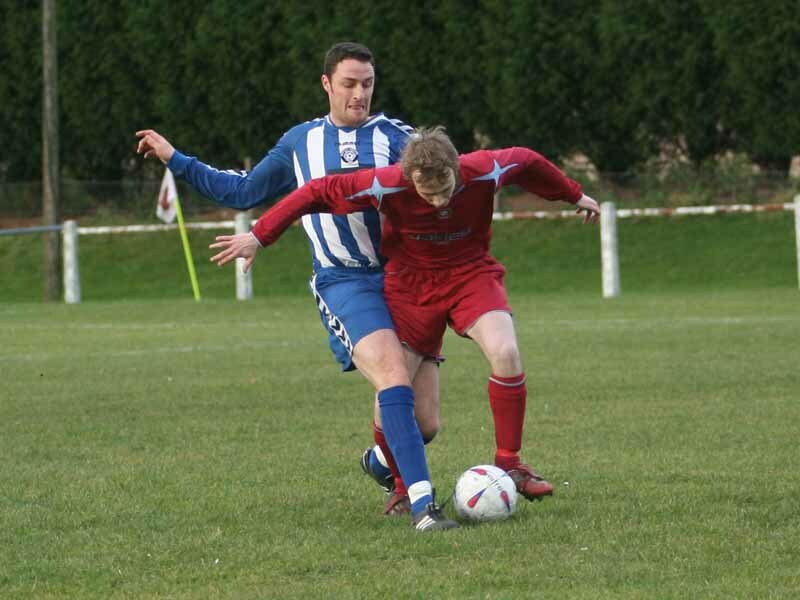 Then a dangerous cross into the Penicuik six yard box was headed clear by Gallagher. In their next attack, Oakley broke quickly after defending a corner kick and Celentano was one on one with Gallagher. Gallagher got a foot to the ball, but it broke kindly for the striker who then saw his shot blocked by Ramage’s legs. In the 83rd minute, Gay headed on a cross to substitute Steel. His powerful shot was fumbled by Campbell and McDONALD pounced to slam the ball into the roof of the net. Right on full time, Penicuik’s new signing Burke almost made a name for himself, but his strike went inches past the post.